Datura is a genus of nine species of poisonous vespertine flowering plants belonging to the family Solanaceae. 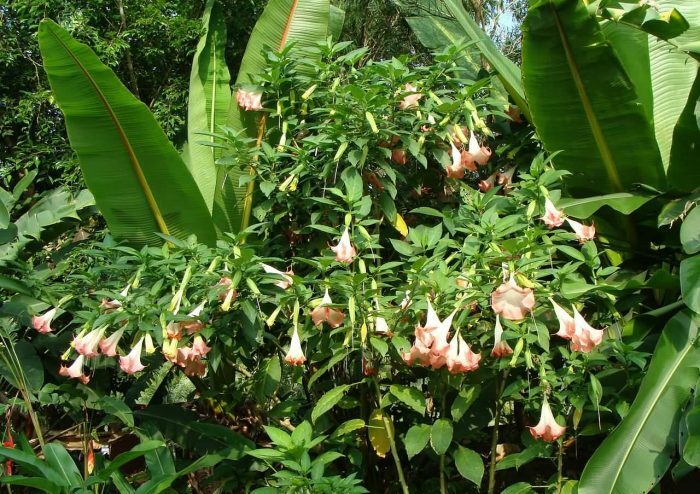 They are known as angel’s trumpets and commonly known as daturas. They are also sometimes called moonflowers. Its distribution within the Americas and North Africa, however, is most likely restricted to the United States, Mexico and Tunisia. All species of Datura are poisonous, especially their seeds and flowers. Datura has a long history of use for causing delirious states and death. It was well known as an essential ingredient of potions and witches brews. In some parts of Europe and India, Datura has been a popular poison for suicide and murder. Datura intoxication typically produces effects similar to that of an anticholinergic delirium, which is usually involving a complete inability to differentiate reality from fantasy as well as hyperthermia, tachycardia, bizarre and possibly violent behavior and severe mydriasis with resultant painful photophobia that can last several days. Due to their agitated behavior and confused mental state, victims of Datura poisoning are typically hospitalized. Observation of the patient is indicated until the symptoms resolve, usually from 24–36 hours after ingestion of the Datura. 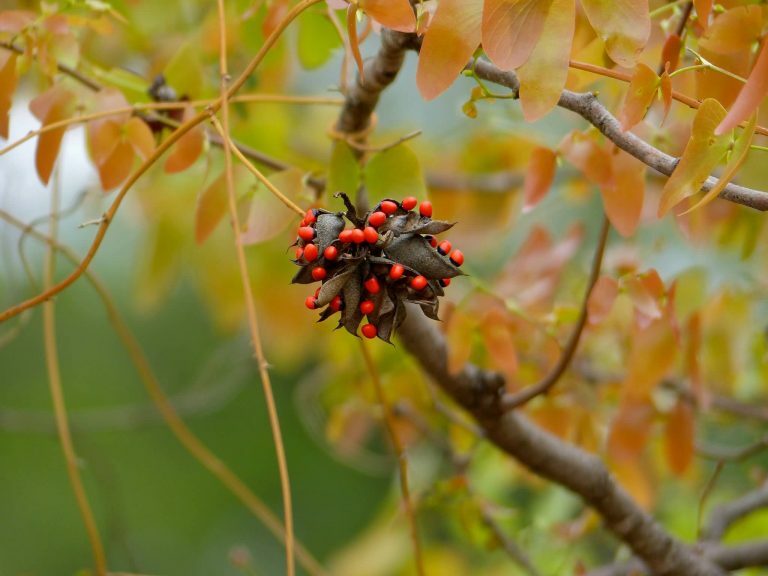 Abrus precatorius is known commonly as jequirity, Crab’s eye, rosary pea, precatory pea or bean, John Crow Bead, Indian licorice, Akar Saga, gidee gidee or Jumbie bead. The plant is best known for its seeds, which are used as beads and in percussion instruments and which are toxic due to the presence of Abrin. 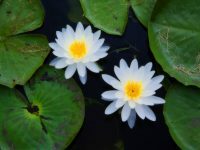 The plant is native to India and grows in tropical and subtropical areas of the world and it has a tendency to become weedy and invasive where it has been introduced. It had been widely introduced by humans and the brightly coloured and hard-shelled seeds had been spread by birds. This plant is also poisonous to horses. Symptoms of poisoning include nausea, vomiting, convulsions, liver failure and death, usually after several days. The seeds have been used as beads in jewelry, which is dangerous and there have been cases of death by a finger-prick while boring the seeds for beadwork. A tea is made from the leaves and used to treat fevers, coughs and colds. Seeds are poisonous and therefore are used after mitigation. The plant is also used in Ayurveda. The oil made from the Crab’s Eye seed is highly used in Ayurveda because it is said to promote/stimulate hair growth. It is sometimes used as an ingredient in Indian hair products. 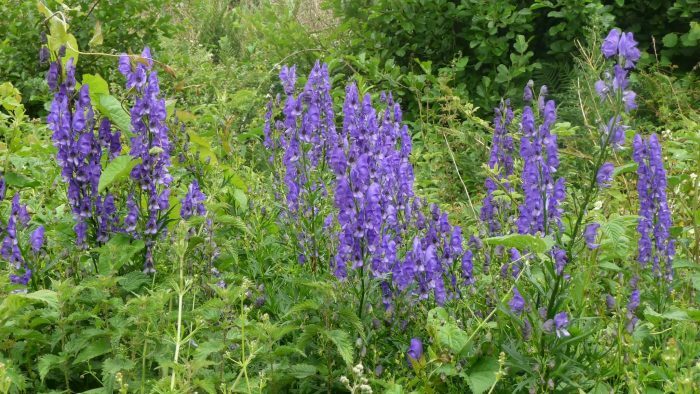 Aconitum also known as monkshood, wolf’s bane, leopard’s bane, mousebane, women’s bane, devil’s helmet, Queen of all Poisons or blue rocket is a genus of over 250 species of flowering plants belonging to the family Ranunculaceae. 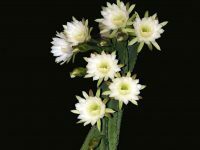 The plant is native to the mountainous parts of the northern hemisphere, growing in the moisture-retentive but well-draining soils of mountain meadows. Most species are extremely poisonous and must be dealt with carefully. The name may reflect that toxins extracted from the plant were historically used to kill wolves, hence the name wolf’s bane. The symptoms may appear almost immediately, usually not later than one hour and “with large doses death is almost instantaneous”. Death usually occurs within two to six hours in fatal poisoning. The initial signs are gastrointestinal including nausea, vomiting and diarrhea. This is followed by a sensation of burning, tingling and numbness in the mouth and face and of burning in the abdomen. But, treatment of poisoning is mainly supportive. Several species of Aconitum are cultivated in gardens, having either blue or yellow flowers. They thrive in garden soils and will grow in the shade of trees. 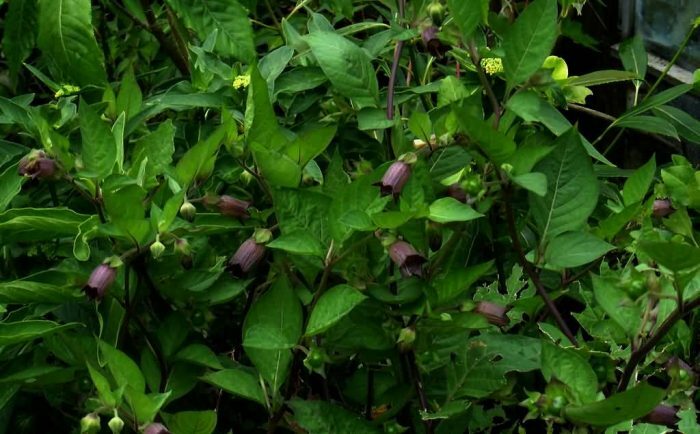 Atropa belladonna commonly known as belladonna or deadly nightshade. It is native to Europe, North Africa, Western Asia and some parts of Canada and the United States. The name “belladonna” is derived from Italian and means “beautiful lady” because the herb was used in eye-drops by women to dilate the pupils of the eyes to make them appear seductive. Belladonna is one of the most toxic plants found in the Eastern Hemisphere. All parts of the plant contain tropane alkaloids. The berries pose the greatest danger to children because they look attractive and have a somewhat sweet taste. The consumption of two to five berries by a human adult is probably lethal. The root of the plant is generally the most toxic part, though this can vary from one specimen to another. Ingestion of a single leaf of the plant can be fatal to an adult. The symptoms of belladonna poisoning include loss of balance, staggering, headache, rash, flushing, severely dry mouth and throat, slurred speech, urinary retention, constipation, confusion, hallucinations. 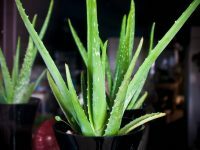 But the plant is using in Cosmetics, Medicinal uses, Recreational drugs and Poisons. 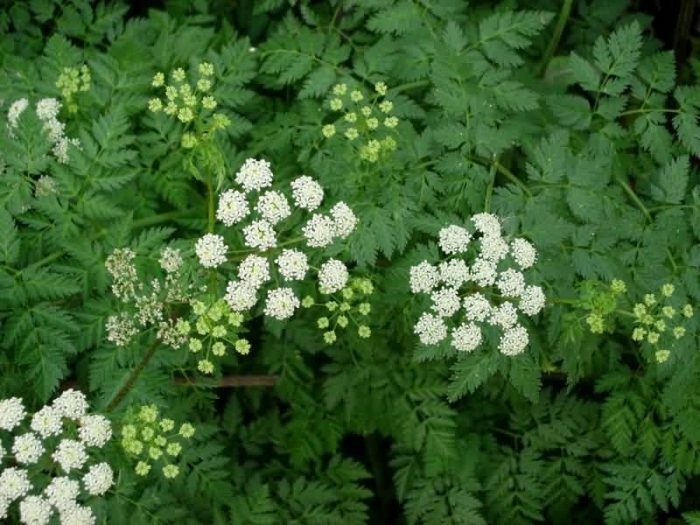 Conium maculatum is also called as hemlock or poison hemlock. It is a highly poisonous perennial herbaceous flowering plant and native to Europe and the Mediterranean region. It is used as a food plant by the larvae of some Lepidoptera species, including silver-ground carpet. Poison hemlock flourishes in the spring, when most other forage is gone. 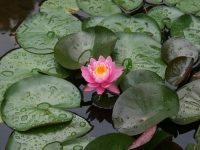 All plant parts are poisonous, but once the plant is dried, the poison is greatly reduced, although not gone completely. The plant contains the piperidine alkaloids coniine, N-methylconiine, conhydrine, pseudoconhydrine and gamma-coniceine, which is the precursor of the other hemlock alkaloids. In high enough concentrations, coniine can be dangerous to humans and livestock. Coniine causes death by blocking the neuromuscular junction in a manner similar to curare. Death can be prevented by artificial ventilation until the effects have worn off 48–72 hours later. For an adult, the ingestion of more than 100 mg of coniine may be fatal. Cerbera odollam is commonly known as the Suicide tree, Pong-pong and Othalanga. It is a species of tree native to India and other parts of southern Asia. The fruit, looks like a small mango, when still green, with a green fibrous shell enclosing an ovoid kernel. On exposure to air, the white kernel turns violet, then dark grey and ultimately brown or black. The poison blocks the calcium ion channels in heart muscle, causing disruption of the heart beat. This is most often fatal. Cerberin is difficult to detect in autopsies and its taste can be masked with strong spices. Therefore it is often used in homicide and suicide in India. The seeds also have a long history as a poison in Madagascar. The poison was responsible for the death of 2% of the population of the central province of Madagascar. 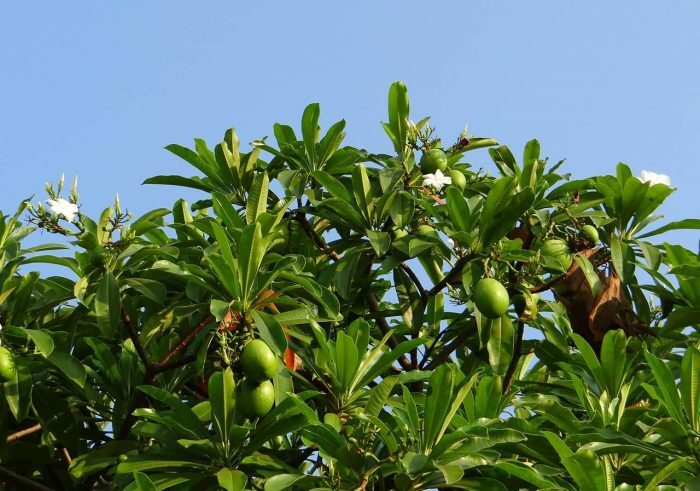 But the fruits are used for manufacturing bio-insecticides and deodorants. Ricinus communis is also called as castor oil plant and it is a species of flowering plant. Its seed is the castor bean, which despite its name, is not a true bean. 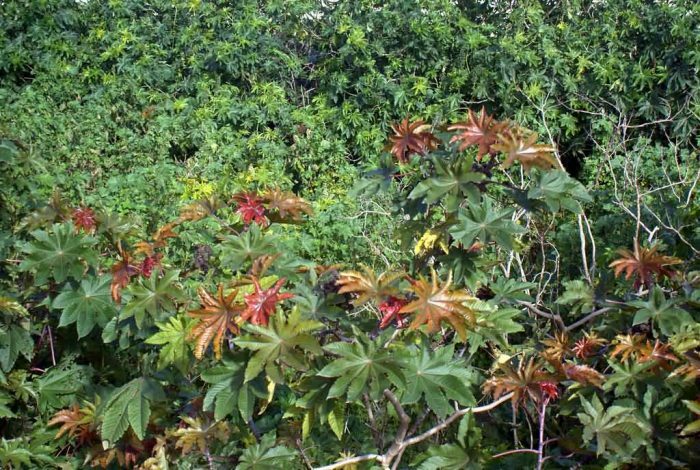 Castor is indigenous to the southeastern Mediterranean Basin, Eastern Africa and India, but is widespread throughout tropical regions. Castor seed is the source of castor oil, which has a wide variety of uses. The seeds contain between 40% and 60% oil that is rich in triglycerides, mainly ricinolein. 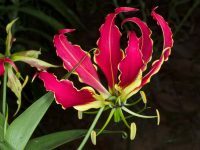 According to the 2007 edition of Guinness World Records, this plant is the most poisonous in the world. 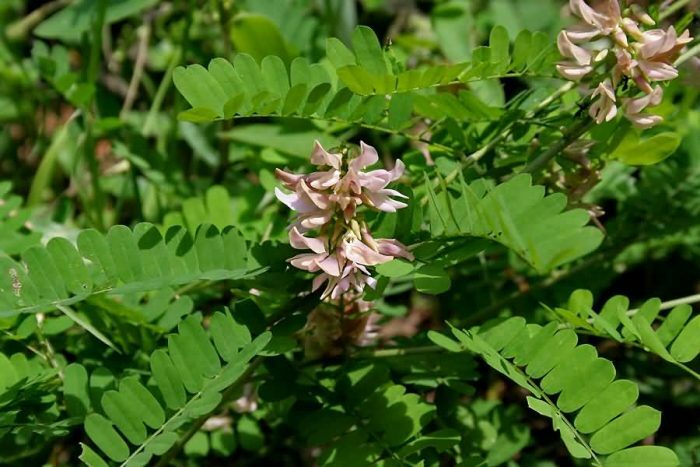 The aversion to the use of the beans in suicide could be due to the painful and unpleasant symptoms of overdosing on ricin, which can include nausea, diarrhea, tachycardia, hypotension and seizures persisting for up to a week. If ricin is ingested, symptoms may be delayed by up to 36 hours but commonly begin within 2–4 hours. Toxicity varies among animal species: four seeds will kill a rabbit, five a sheep, six an ox or horse, seven a pigand eleven a dog. Ricin has been investigated for its potential use as an insecticide. The attractive castor seeds are used in jewelry, mainly necklaces and bracelets. Castor oil was traditionally used on the skin to prevent dryness. This is now used as a base for many cosmetics. Toxicodendron radicans, commonly known as poison ivy is a poisonous North American and Asian flowering plant that is well known for causing an itching, irritating and sometimes painful rash in most people who touch it, caused by urushiol, a clear liquid compound in the sap of the plant. The plant is commonly eaten by many animals and the seeds are consumed by birds, but poison ivy is most often thought of as an unwelcome weed. 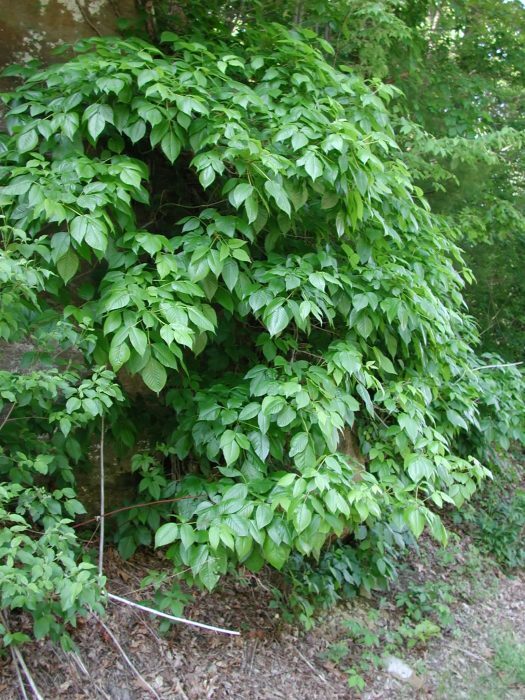 Urushiol-induced contact dermatitis is the allergic reaction caused by poison ivy. In extreme cases, a reaction can progress to anaphylaxis. Around 15% to 30% of people have no allergic reaction to urushiol, but most people will have a greater reaction with repeated or more concentrated exposure. Urushiol binds to the skin on contact, where it causes severe itching that develops into reddish coloured inflammation or non-coloured bumps and then blistering. Immediate washing with soap and cold water or rubbing alcohol may help prevent a reaction. Hot water should not be used, as it causes one’s pores to open up and admit the oils from the plant. During a reaction, Calamine lotion may help mitigate symptoms. Solanum nigrum is also called as black nightshade. It is native to Eurasia and introduced in the Americas, Australasia and South Africa. Parts of this plant can be toxic to livestock and humans and it’s considered a weed. 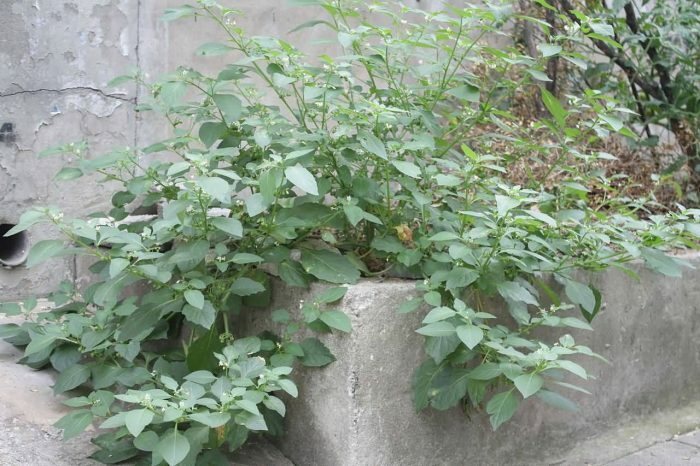 The plant is also known as duscle, garden nightshade, garden huckleberry, hound’s berry, petty morel, wonder berry, small-fruited black nightshade or popolo. Black nightshade is a common herb or short-lived perennial shrub, found in many wooded areas, as well as disturbed habitats. Solanine levels in black nightshade can be toxic. Children have died from poisoning after eating unripe berries. Poisoning symptoms are typically delayed for 6 to 12 hours after ingestion. Initial symptoms of toxicity include fever, sweating, vomiting, abdominal pain, diarrhea, confusion and drowsiness. 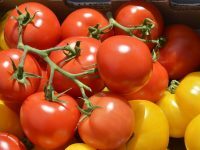 All kinds of animals can be poisoned after ingesting nightshade including cattle, sheep, poultry and swine. An oak is a tree or shrub in the genus Quercus of the beech family. 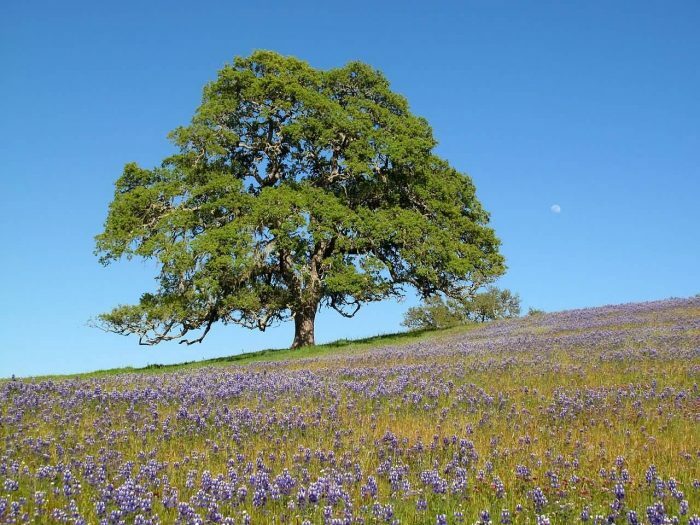 There are approximately 600 extant species of oaks. The common name “oak” may also appear in the names of species in related genera, notably Lithocarpus. The genus is native to the Northern Hemisphere. The leaves and acorns of the oak tree are poisonous to cattle, horses, sheep and goats in large amounts due to the toxin tannic acid and cause kidney damage and gastroenteritis. Additionally, once livestock have a taste for the leaves and acorns, they may seek them out. Symptoms of poisoning include lack of appetite, depression, constipation, diarrhea, blood in urine and colic. The exception to livestock and oak toxicity is the domestic pig, which may be fed entirely on acorns in the right conditions. Acorns are also edible to humans in processed form, after leaching of the tannins.